How is the Lamborghini Huracan stacking up against the newest competition on the block? Quite impressively actually. The Huracan has multiple models available, but the Performante is still the pinnacle of Huracan performance. See how impressive the Performante is in our Lamborghini Huracan Performante vs McLaren 600LT comparison. 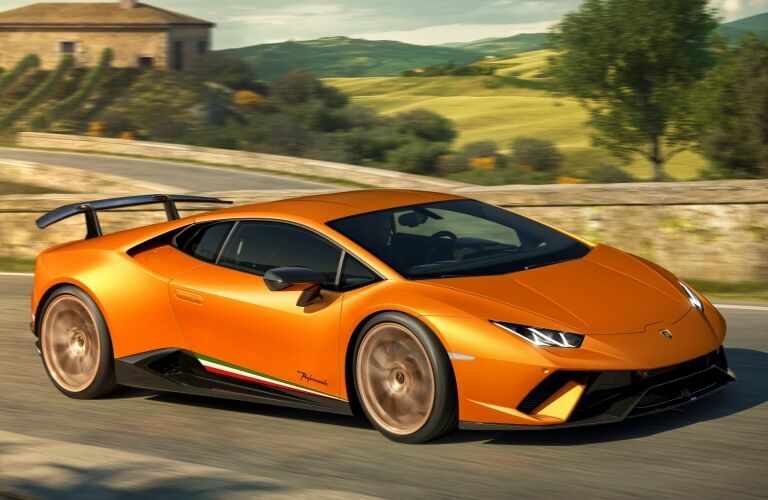 We’ll look at all the important metrics including the performance, the drivetrain, and popular options to show you that the Huracan Performante is the right supercar. 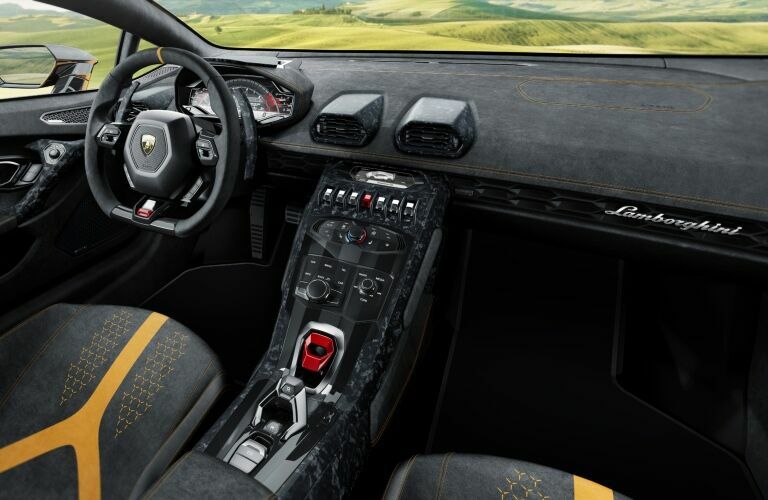 If you would like to browse through the new Lamborghini models that we have in stock at Lamborghini Austin, then click the link below. Otherwise, keep reading to see how the Lamborghini Huracan Performante beats out the McLaren 600LT. How does the Performante compare to the 600LT? When you are considering a supercar, the engine is perhaps the most important thing you need to think about. The McLaren has a twin-turbo V8 which isn’t very exotic or interesting. It comes with turbo lag and a whiney unsatisfying sound. The Lamborghini Huracan Performante employs a true V10 engine. Lamborghini is still king among high-cylinder-count engines, and the Huracan Performante is no different. You will have near instant throttle response and a sonorous exhaust note that is simply divine. The V10 engine wouldn’t mean much if it couldn’t outperform the twin-turbo V8, and it does. With 48 horsepower more than the twin-turbo, the V10 still comes out on top and it manages to propel the Huracan Performante from 0 to 62 mph (0-100 km/h) in just 2.9 seconds, which is the same as the lighter McLaren 600LT. Why is the McLaren 600LT lighter? It utilizes a simple RWD drivetrain that is actually quite odd for a supercar in this class. Most supercars consider AWD to be the norm. With an AWD drivetrain, you have better handling and quicker acceleration especially out of corners. 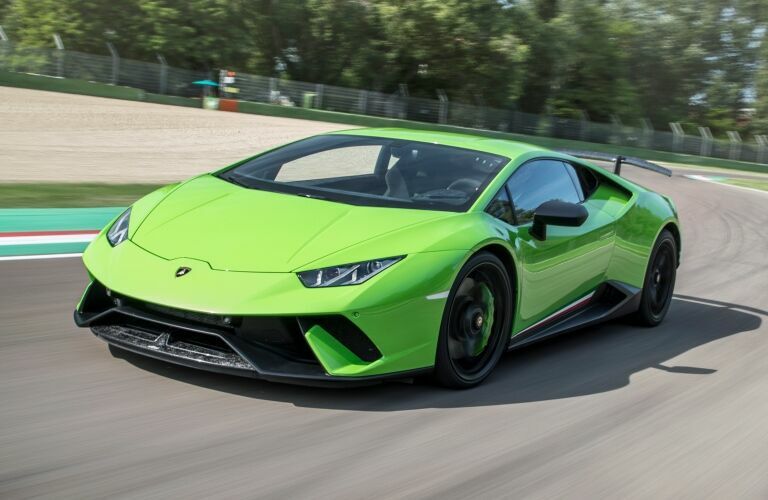 The Huracan has an RWD model, but its top performer, the Performante, is AWD only. To put a capstone on this conversation, the Huracan Performante is a coupe, but it’s also available as a Spyder. 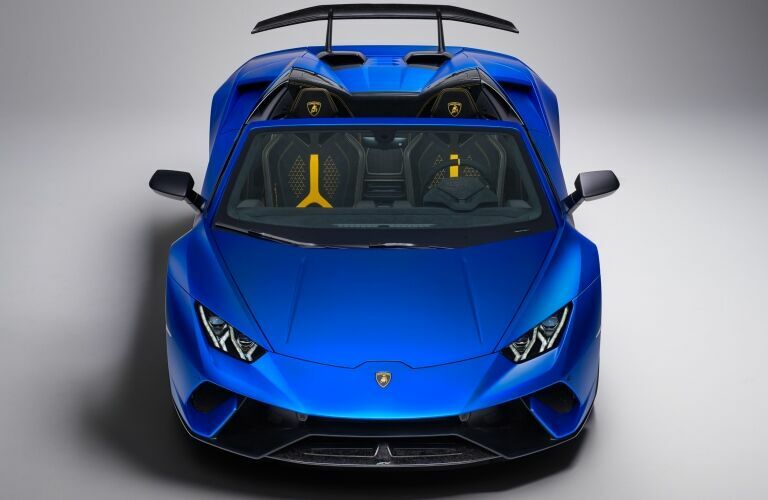 If you want to enjoy the ultimate in performance with the wind in your hair, then the Performante is your only option in this comparison.